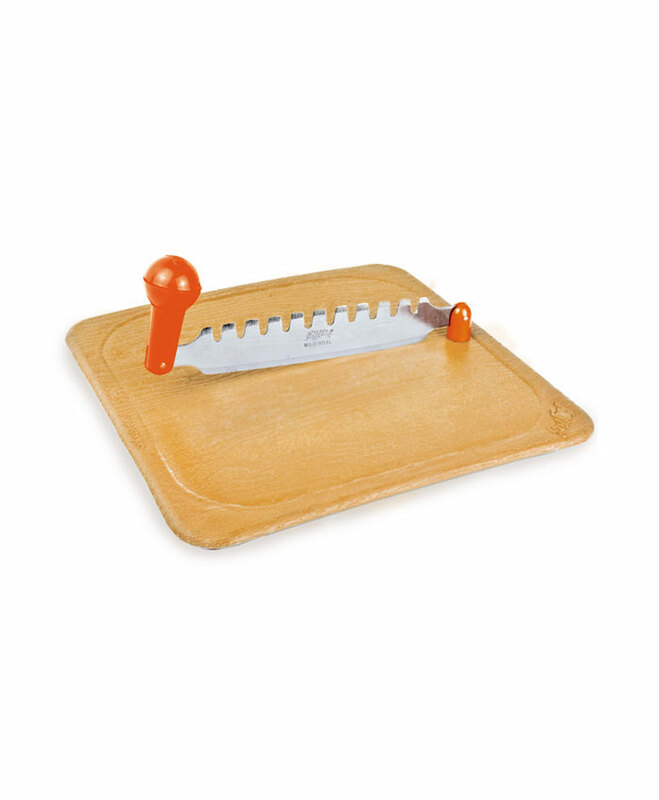 In India I picked up an Anjali vegetable and fruit cutting board, pictured below. Its blade is two-sided: straight on one end, very roughly serrated on the other. What is the toothed side used for? In this demonstration video from the manufacturer they never show it being used. It does show a pineapple with some fancy decoration, so if this happens to be the use, please explain precisely how to achieve that. Either for rough chops on veg/herbs, or maybe decorating with icing/chocolate design? Regardless, this seems like a poorly thought out tool? What does the term mirepoix mean?